Save money when you share this film with your friends and family. From the filmmakers of the acclaimed "The Singing Revolution", the film reveals that for Estonians singing is not just a means of cultural expression but a defining part of their national identity. NOTE: THIS INCLUDES HOME VIEWING RIGHTS ONLY. THIS DOES NOT INCLUDE ANY PUBLIC SCREENING RIGHTS, WITH OR WITHOUT AN ADMISSION CHARGE. With apologies, there is no PAL version…only NTSC, the format typically used in North America, Japan, Korea, and some South American countries. 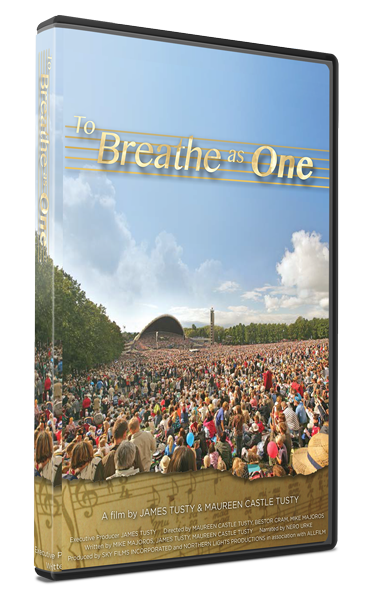 If you are in a PAL country please consider To Breathe as One Digital Download instead.